We don't just milk cows, we harvest HIGH Quality Milk! 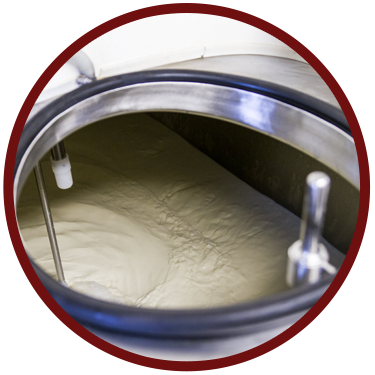 We have been licensed to sell raw milk in Massachusetts ever since it became legal in 2003 and we take great pride in offering a high quality source of raw milk for our customers. 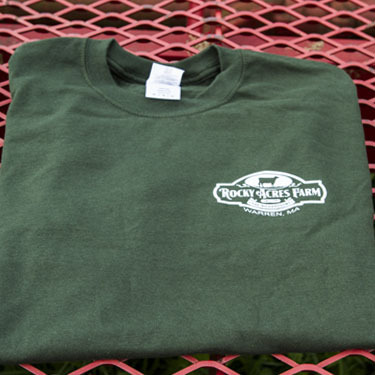 Our mission at Rocky Acres Farm is to breed and develop a long lasting herd of dairy cattle who will graze well, breed back quickly, and be competitive in the show ring. We aspire to harvest the highest quality milk possible from these cows, to nourish the bodies of our family, as well as those of our customers. Furthermore, we pledge to be conscientious stewards of the land, preserving our farmland for generations to come. Top Milk Quality Award Winner! 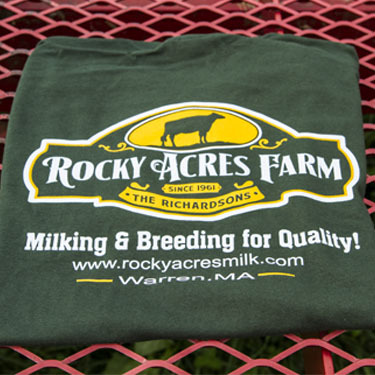 Rocky Acres Farm was the 2017 Top Milk Quality Award Winner for all of the Agri-Mark, Inc. farms. We were #1 best milk quality out of 1200+ farms!!! We also won this same award in 2016 & 2017!!! 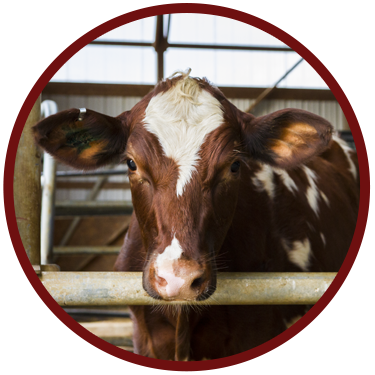 Agri-Mark Family Dairy Farms is the northeast’s premier dairy farmer cooperative and is best known for its “Cabot” brand products. 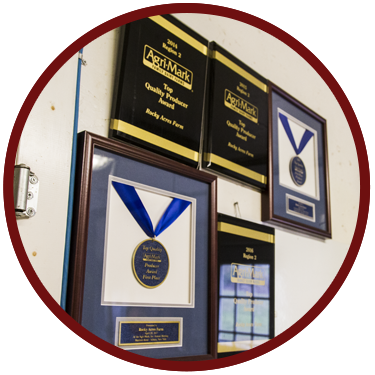 Additionally, Rocky Acres Farm has been awarded a NATIONAL milk quality award in 2016 & 2017, being named a GOLD Award winner in the National Mastitis Council’s Dairy Milk Quality Awards!!! These awards go out to the best of the best milk quality farms across this entire country! !